It was the 2011 Australian Open and Alexandr Dolgopolov made his main draw debut at the tennis circuit’s first major of the year. He had been working a year at that stage with the colourful and inspiring Australian coach Jack Reader. Originally from the picturesque state of South Australia, Jack along with the Aussie tennis fans all but adopted Alex with his flashy style of tennis at the Australian Open that year. His tennis captured attention and the speed at which he plays drew fans to his matches. His first encounter with a top ten player was on January 21st against Jo-Wilfried Tsonga who had built quite a following from when he reached the Australian Open final in 2008. Tsonga led two sets to one but then Alex began to produce the type of tennis that is now synonymous with him; outrageous drop shots were interspersed with the most sensational of winners. Balls were chased down with lightning speed and retuned with interest. The crowd around Rod Laver Arena were in raptures and they had chosen to put their support behind him. 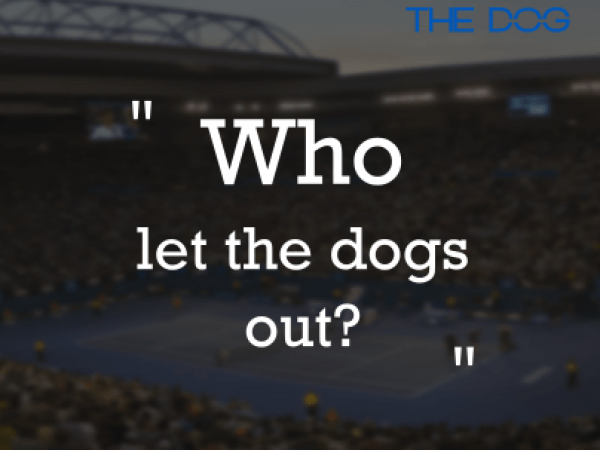 The atmosphere exploded further when one fan in the stands started singing the Baja Men hit “Who Let the Dogs Out” but this version had a twist – the fans found their voice as one as they chanted and sang “Who Let the Dogs Out”. This was a moment to remember at the Australian Open as the international media got on to the bandwagon. That day his nickname “The Dog” was born. Alex went on to beat Tsonga and then backed it up with a win against Robin Soderling before being stopped by Andy Murray in the quarterfinals. 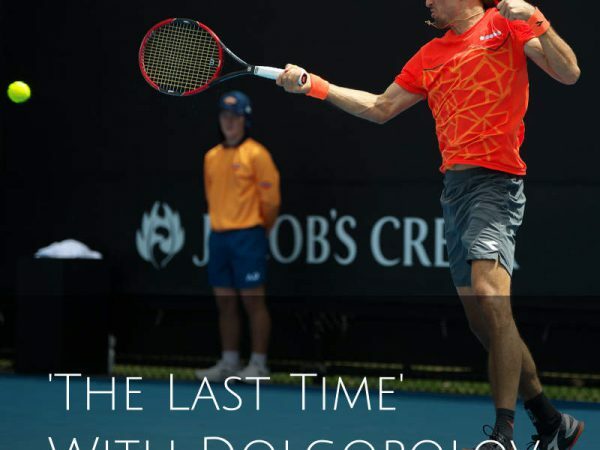 Alex Dolgopolov will always be affectionately known as “The Dog”.